To start with the important point: it is a good idea. This is the proposal that came out of a meeting of the International Olympic Committee’s (IOC) sports integrity forum last weekend. The IOC’s reputation has suffered so much damage over the years that the words – ‘meeting, ‘sports integrity’ and ‘IOC’ – immediately plant in many people’s heads the image of a conclave of mobsters chatting with Monty Burns from The Simpsons. The truth is more prosaic. The committee meetings of the IOC on sports integrity are like political committee meetings anywhere in the world. There is lots of bureaucrat-speak: ‘stake-holders’, ‘deliverables’, ‘Vision 2020’, etc: most of the statements are usually written days before and the charisma never rises above the somnolent levels. However, there are lots of good people in the room. Of course, there are some people with commercial agendas who want to push the focus in their own particular way. But in the main this particular IOC committee meeting had no fixers or mobsters and a fair number of good people who actually want to stop corruption. Last weekend, they came up with a good idea. It will be a failure in practice, but it is a good idea that should be refined, re-thought and re-done. It is the idea of having a whistle-blower hotline for athletes and coaches to report possible corruption at the Olympics. The first problem is its presentation. It looks like it was put together by a Swiss bureaucrat (which, come to think of it – it probably was). Few twenty-two year old athletes are going to be comfortable with its format, with its buttons for ‘Competition Manipulation’ or ‘Integrity Non-Compliance (other than competition manipulation)’ particularly after they have waded through a couple of paragraphs saying, effectively, ‘Don’t report to us if this is football-related or doping’. If you are a twenty-two year athlete who is in a dangerous situation, this is not a site that welcomes confidence. Two – and far more serious – is who the athletes are to report their allegations of corruption to. When you read the fine-print of the site, one of the people the athletes’ confidential reports can go to is an IOC ethics committee member or a member of the local-organizing committee. What happens when the officials are organizing the fix themselves? This is the situation that was said to have occurred around the 2010 World Cup in South Africa. It is the situation that, presumably, occurred in badminton at the 2012 Olympics in London (unless all those players spontaneously decided to play to lose by themselves, which seems unlikely). Currently, the hotline is inadvertently designed to make people shut up rather than encouraging them to come forward. Hire a marketing company who has executives under the age of 30 and get them to redo the entire site. Hire an independent security company unconnected with either the local organizing committee or the IOC to monitor the hotline. Do those things and the IOC hotline becomes a genuinely good idea. Do not do those things and the hotline is a waste of time. I write of Transparency International’s (TI) claim that they are the first people to properly research corruption in sport. TI is a German-based organization that investigates and fights against corruption. Last week, they put out a press release announcing a ‘new’ Corruption in Sports Initiative and a series of articles that will ‘frame’ the debate. 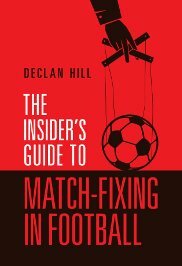 To bolster this idea TI (or their media department) claims that ‘there has been little comprehensive, centralized research on the root causes of corruption in sport’. There are many people who have doing far better research on sports corruption for far longer than Transparency International. Take two – Jens Weinreich and Andrew Jennings. They were tilling this field long before TI became officially interested in sport. They were doing their work in sports corruption when it was unprofitable and dangerous. 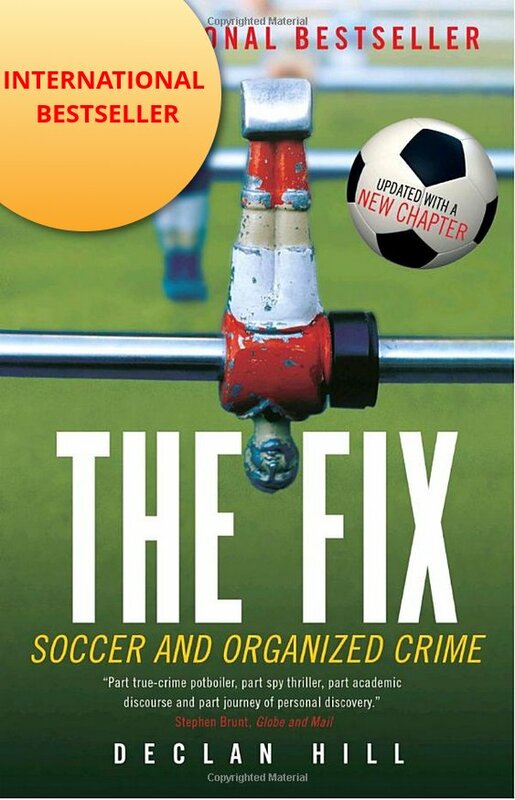 They have written numerous books based on comprehensive, centralized research which shows the root causes of corruption in sport. For TI to now ignore Weinreich and Jennings and claim that there is very little other work is factually incorrect and morally very problematic. If an agency like TI wants to play a positive role in cleaning-up sport, they must not only be morally-correct, they must be seen to be morally-correct. I know the work of the people mentioned in the TI press release. Some of them are good people. They should quickly issue a second press release saying that the TI’s announcement is inaccurate: they are joining a long-established fight. Only this way can TI restore its credibility on this issue. Sadly, you may be right. The anti-corruption in sports movement is filled with people padding their careers rather then cleaning up the problem. As you and I have discussed, we could get most of the fixers out of sports in about 6 weeks, if the authorities took it seriously. However, at least they are at a glacial pace moving in the right direction. Their hotline will still be failure but it is a good idea.